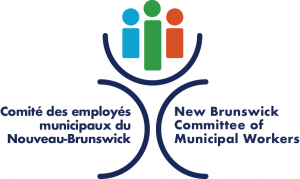 FREDERICTON – Bargaining talks in the nursing home sector have been put on hold, as the neutral third party – the bargaining mediator – has recommended negotiations be put on pause. The workers’ negotiators are frustrated how both employer and government – who are now together at the table – have consistently rejected any meaningful wage increases for nursing home workers. The employer has proposed workers take a three-year contract with a median wage increase of 10.5 cents per hour, every 6 months. The employer insisted on presenting again this proposal, disregarding the fact it had already been massively rejected by nursing home employees. Hourly rate change for the lowest paid classifications (such as Laundry Attendant, Environment Attendant, Dietary Attendant) would be 9 cents, every 6 months. For the highest paid classifications (such as LPNs and Lead Cooks), this represents 12-cent increases per hour, every 6 months. “I am appalled to hear the employer say nursing home workers don’t even deserve a fair and equitable wage increase,” said Sharon Teare, president of the New Brunswick Council of Nursing Home Unions (NBCNHU). “Cost of living inflated by 2.1% in 2018, and 2,3% the year before that. If workers accept the employer’s proposal, there would be a real wage loss above 2.4%.” As long as I am president, I will never, ever, tell the workers I represent they deserve a wage cut,” said Teare. The NBCNHU is frustrated by repeated stalling tactics used by the employer. CUPE suspects this is deliberate, as government lawyers are heading to court on Friday in an attempt to obtain a long-term stay order. This could have the effect of significantly prolonging the existing 10-day court order preventing nursing home worker’s right to strike.